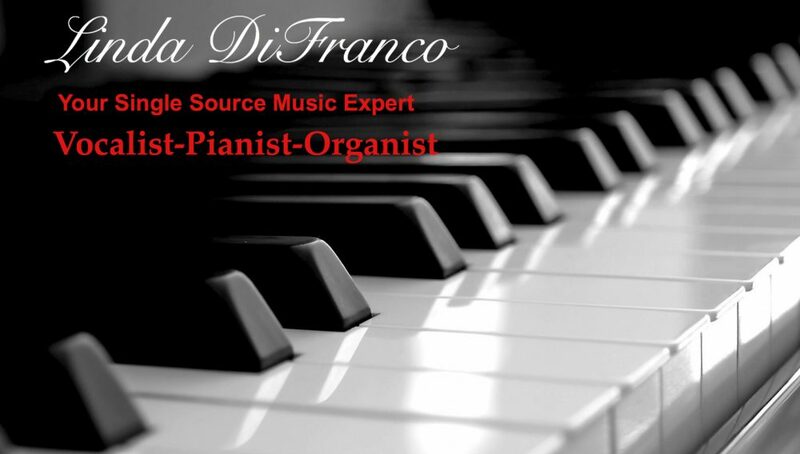 St. Louis Single Source Music Expert – Pianist – Wedding singer – Piano lessons – Linda Difranco | Linda Difranco is a St.louis, Missouri native, a lifelong musician, vocalist, piano teacher, piano lessons, pianist, vocalist, wedding singer, private event musician, church singer, and church organist. Provides a variety of musical services. Linda Difranco is a St.louis, Missouri native, a lifelong musician, vocalist, piano teacher, piano lessons, pianist, vocalist, wedding singer, private event musician, church singer, and church organist. Provides a variety of musical services. Hello. Welcome to my website. My name is Linda DiFranco. I am YOUR SINGLE SOURCE MUSIC EXPERT with numerous years of experience as a vocalist, pianist, organist, choir director and educator. This includes performing at weddings, funerals, holiday parties, teaching private piano lessons and K-12 music education. As parish music director for most of my life I have directed children’s, high school and adult choirs. I pledge to provide professional musical excellence, sensitively tailored to your individual needs and preferences. Successful teaching of hundreds of students, increasing self-esteem, cognitive improvement, sense of achievement, and the pure love of music through skill acquisition and artistic expression.